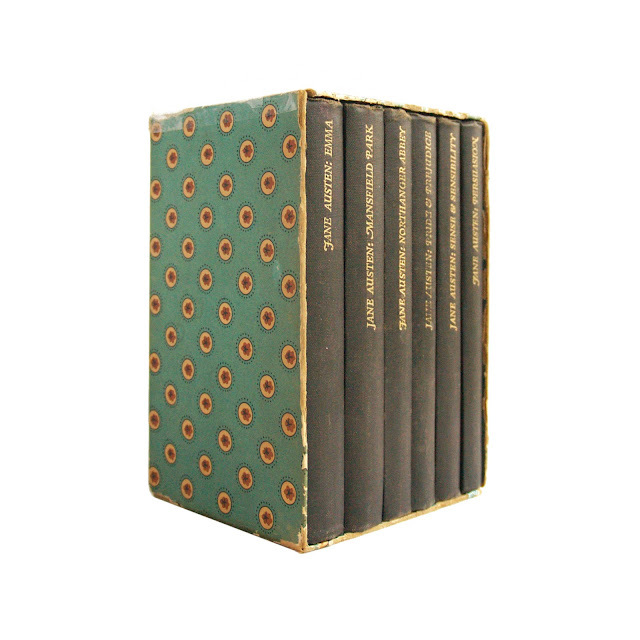 This vintage boxed set of six Jane Austen novels -- Persuasion, Sense & Sensibility, Pride & Prejudice, Northanger Abbey, Mansfield Park and Emma -- features brightly colored patterned paper covers and black spines with gilt lettering. 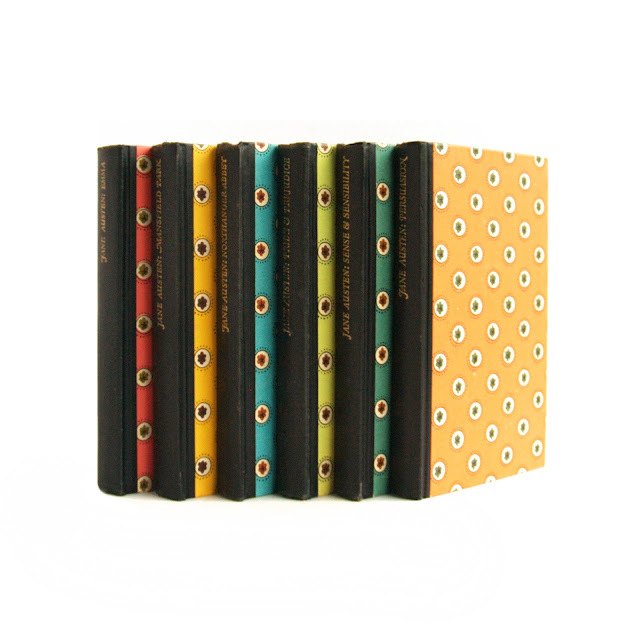 Slipcase, which is well-worn but intact, is covered in matching patterned paper, with no writing or labels. 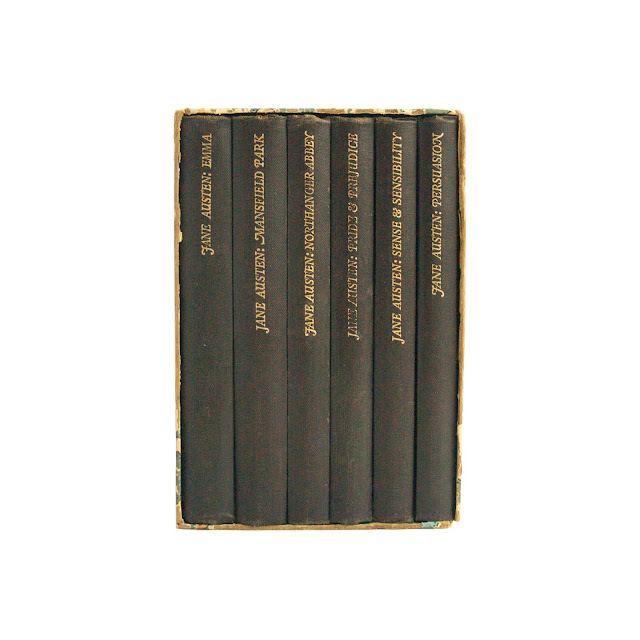 Believed to date from the 1950s or thereabouts, these volumes are clean, tight and unmarked, with only minor edgewear and some bumped corners. Each is approx. 4"x7" and about 250 pages. 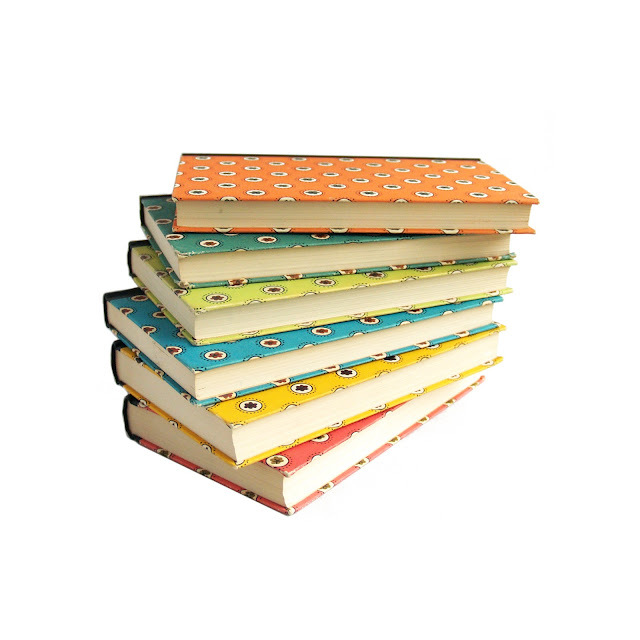 A pretty little set for any Austen lover. 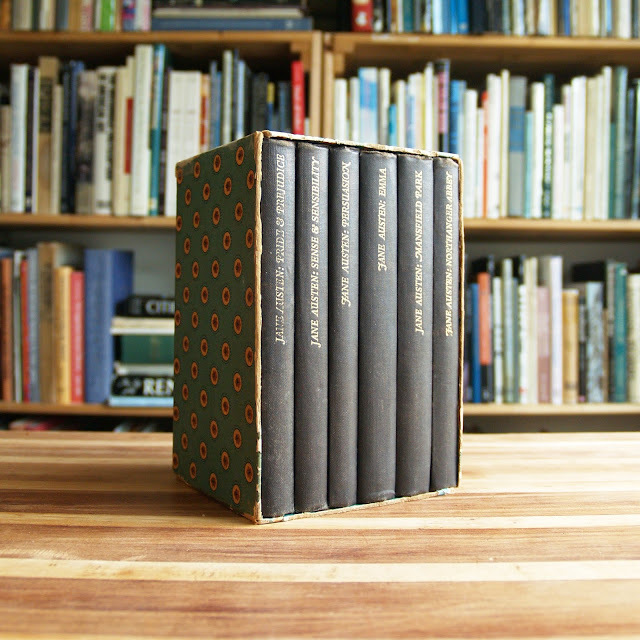 Hamish Hamilton’s Novel Library, which debuted in 1947 in the UK is known for its Oliver Simon / Curwen Press bindings. The series was published in the U.S. by Pantheon from 1948 until near the end of the series, in 1953, when Citadel Press took over distribution and began to sell the books at a discounted price in the US. No new titles were issued in the US or UK after 1951.